After the sad announcement that online-PSVR shooter, StarBlood Arena’s servers would be shutting down later in 2019, the community was hoping to get more of an official statement from the developer, Whitemoon Dreams. Now the CEO of the studio, Jay Koottarappallil, issued a statement on Reddit to give more background on the closure, thank the community, and offer an explanation. Sony called earlier to let me know that they were shutting down servers. The call was something along the lines of “This is always a very hard time, but its time to shut down the servers”. There wasn’t a whole lot of detail past that and there was no option for us to support servers ourselves, much less make any new releases. At the very least, we would have liked to have the option to pay for servers ourselves. Overall, I wish we controlled the IP that we created with SBA, because there’s so much more of this we want you all to see; but we’re not big and powerful enough yet to be able to command that. I’d prefer if there wasn’t a bunch of Sony hate for shutting the servers down. No one is at fault here; Sony operated the servers for quite some time and honestly, SBA has come and gone as new titles move in and out and the VR medium finds more stable ground. At the end of the day, developing and maintaining video games is a business and doing so must be profitable for the companies behind them. As much as we’d love to see every online game supported forever, it’s just not a viable option from a business perspective. Does this news sadden you? 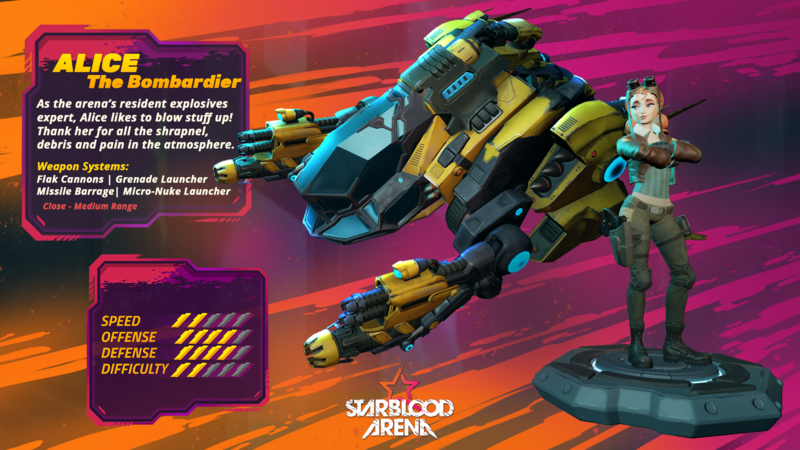 Are you a StarBlood Arena fan? (We really liked it here.) Let us know in the comments!